Master of Sorrows – Blog Tour & Book Review! GIRLS DRESSING AS BOYS: THE 2019 TROPE? “OUT OF DATE” YA SERIES? With the year coming to a close, I’m being driven into a panic. I have so many books I want to read before 2019, and I totally want to catch up on my ever-growing TBR (wish me luck), so I thought I’d motivate myself by compiling a list of books that I definitely need to read before the new year. I’ll go through all this effort, but I know I’ll end up re-reading my old favourites instead. Oops. DISCLAIMER: This list only has books on that I already own. There are so many upcoming releases over the next 3 months, which I’ll make a separate post about. Because AAAAH. Have you seeeeeen what’s coming out?! I recently invested in Illumicrate’s gorgeous special editions of this duology. Even though I haven’t read them before. I love Laini Taylor, and I love the aesthetics of these books so I knew I haaaad to have these editions. Hopefully that’ll force me to read them (although I’m so terrified of destroying my copies, so I’m tempted to buy the kindle editions as well. Keep my babies safe). Releasing on 15th November, I have TWO editions of this book already. 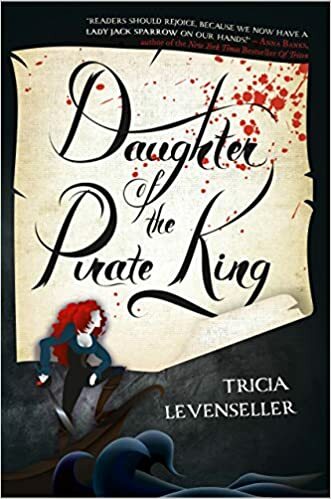 I’ve also got a preorder coming, and I plan to get another copy at Tasha’s signing because she’s adorable and I want to do my best to support her debut release. I know this is going to my newest addiction, and I’ve been obsessed with what little I know about this book since hearing about it 6+ months ago. Now I have two copies (that both arrived this past week). I have no excuses. (Apart from being terrified they won’t meet the expectations I’ve given them. ALTHOUGH, RATIONALLY, I KNOW THEY WILL). I can’t resist adding this to my TBR. When I supported the Kickstarter project, I stopped reading the weekly updates – so I know there will be a few scenes at the end that will be completely new to me. They are going to cause my death. I weirdly (and for no apparent reason) own TWO copies of this book, and I haven’t even read it. I’m obsessed with collecting multiple editions of my favourites – but not of something I’ve never even attempted to pick up. I must be confident I’ll love it (especially when it’s been compared to To Kill A Kingdom). If I pick it up then I can decide whether to donate one of my copies or whether to keep them both. I need the shelf space. Are there any books that have been on your TBR for months? What do you plan to pick up ASAP? You will if I bully you into picking up your book, especially every 2 Friday’s for our reading session!! You aren’t wrong but I won’t get my other series finished! Send me a "howl" to join my pack.